Coming up this week on the international design calendar are a number of events in London – some of which Bespoke Bathrooms will be visiting to gather ideas and bring back the latest trends to Cape Town. These include 100% Design and Open House London when over 800 buildings, normally closed to the public, can be visited. Being so close, we will also be popping over to Paris for two days for extra inspiration! 100% Design is the UK’s largest design trade event with over 27,000 visitors including architects, interior designers, retailers and designers. We’ll be heading for the bathrooms section first and then to the ‘Emerging Brands’ pavilion which showcases newly established design talent. We also hope to have time for the ‘Eco, Design and Build’ pavilion which explores materials, finishes and new technology. 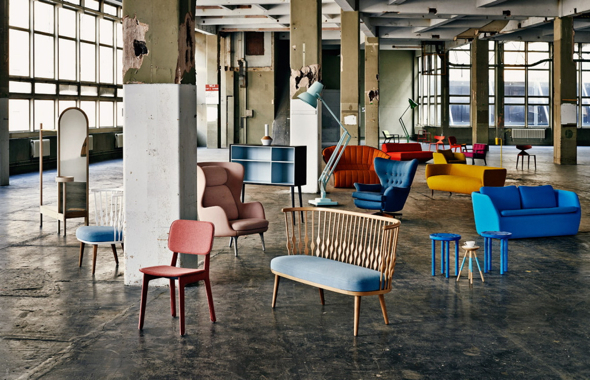 Designjunction 2014, running for the fourth year, takes place in the magnificent industrial space of the Sorting Office in Holburn, central London. Spanning four enormous floors, the show presents more than 180 brands promoting design, retail and innovation. A powerful line-up of leading global brands, smaller cutting-edge labels, more than 25 design-led pop-up shops, large-scale installations, a dedicated lightjunction show, on-site eateries, vibrant flash factories and a leading seminar programme fill the building. For Tent London & Super Brands London we’ll be heading to the Old Truman Brewery in the East End of the city. Tent London is home to a mix to strong national and international talent. Organisers say this year’s stands are packed with design inspiration. Sister show to Tent London, Super Brands London, provides a place for visitors to see big name furniture and interior brands.